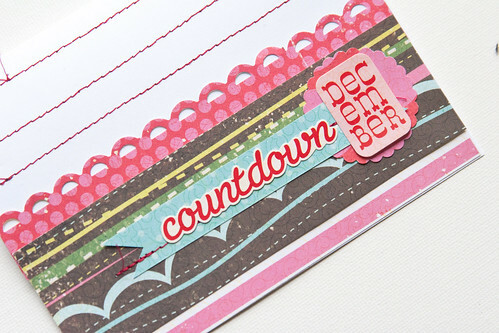 Countdown Card, originally uploaded by createoften. This was my designers choice card for Craft Warehouse. I love the design and the stitches across the top of the card is so fun! This card was made with Echo Park's Christmas line. Create Well: Be inspired, use what you have, and have fun with it! this is adorable! I'm so glad you're feeling a bit better and the blood test came back normal. praying that you continue to mend!